AUTHORITIES HAD AT least four opportunities over 13 years to make the girl at the centre of an abuse scandal safe. Two reports released to the public today show details of the potential abuse the intellectually disabled girl known as ‘Grace’ suffered during the 20 years at the foster home. The 2015 Conal Devine report also identified at least four opportunities where action could have been taken and Grace could have been removed from the home. However, an absence of supervision and adherence of protocols meant that Grace was allowed to remain there. The report found that Grace moved in with the foster family in 1989 – a time when foster carers were paid by the health services. It outlines concerns raised by staff regarding bruises and disturbing behaviour by Grace. In one case, it is reported that she stripped her clothes off for no reason. Other concerns related to bruising, poor hygiene and bad behaviour. It says that the authors of the report “think that she (Grace) suffered abuse while living with this family”. In 1995, she began attending a day service, where staff noticed she was distressed and had bruises on her body. The following year the mother of a different service user said that her daughter had been abused while living with the same foster family as Grace. Staff from the health services in the area met in April to discuss the situation. They said that Grace should move to a new home. The foster family told the health services they would appeal the decision, but lost that appeal. They wrote to Health Minister at the time, Michael Noonan. The Department of Health asked for more information and was told the case was under review. This conference ended with a decision that Grace would stay with the family. However, there is no record of many of the agreed actions being followed up on. In 2004, authorities asked the foster family whether or not they should keep Grace on a waiting list for a permanent placement in a residential unit. They were told ‘no’ by the foster mother. 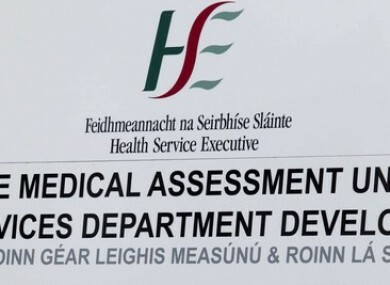 The report could not determine if health service staff looked at Grace’s file or was aware of concerns about her care. The report says that staff did not carry out agreed actions and Grace was left with the family. In 2008, Grace’s birth mother consented to her being placed in a residential unit. However, staff disagreed on what action to take. Some staff said she should be made a ward of court before she could move, others said that wasn’t necessary. A lack of agreement meant that Grace stayed where she was until July 2009. The report says this should and could have been done earlier. On 27 March 2009, staff at Grace’s day centre noticed bruises on her thighs and breasts. She was sent to hospital, where the bruising was reported to gardaí and the sexual assault treatment unit. Hospital staff didn’t think it was suitable for her to spend the night but when care staff tried to find alternative accommodation, there was “confusion” around what was available. She returned to her family. Eventually, Grace was moved to a residential facility, but even this was poorly handled, says the report. It says she thought she was going to her day service and was never told she would not be returning to her foster family. She was not ready mentally or logistically for the move, the report says. The report also outlines allegations that Grace’s foster mother mishandled her finances during her time with the family. Taoiseach Enda Kenny today announced that Minister of State for Disabilities Finian McGrath will bring the terms of reference for a commission of investigation to Cabinet next week. “These two reports speak for themselves and they are shocking,” said the Taoiseach. Speaking outside the Dáil today, McGrath said the role of Michael Noonan, who allegedly made a representation which led to the appeal being overturned, will be included in the terms of reference. “I don’t think there’s any concerns there, but that is going to be included in the terms of reference,” he said. The Dublin TD told reporters that he met with Noonan last week and is “satisfied” that the Minister’s alleged involvement will be dealt with. Email “Grace: The four missed opportunities to make her safe”. Feedback on “Grace: The four missed opportunities to make her safe”.